In presenting the resolution, McGuire acknowledged California’s hardworking flower farmers for the beauty, variety and economic value their flowers bring the Golden State. 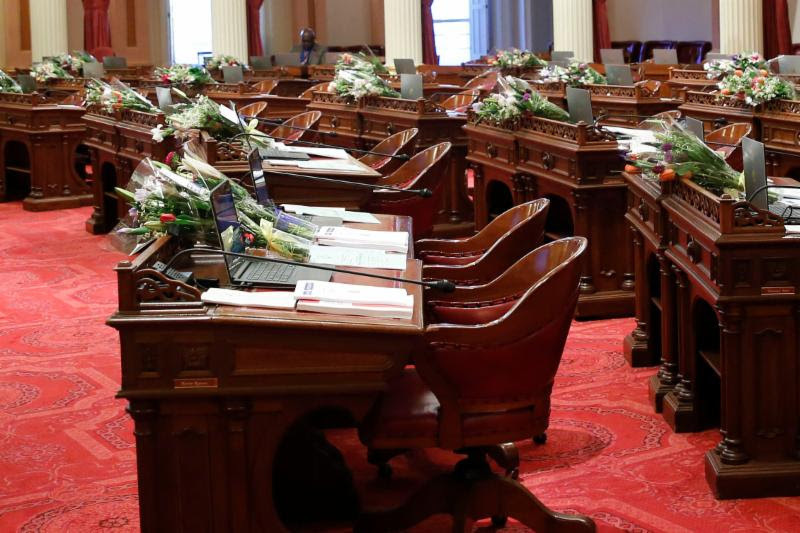 Bouquets filled with CA Grown flowers adorned each Senator’s desk to welcome them as they entered the Senate, prior to passing the Senate’s resolution declaring June as California Grown Flower Month. As part of the announcement, each senator received a bouquet of California Grown Flowers from McGuire to help commemorate the occasion. 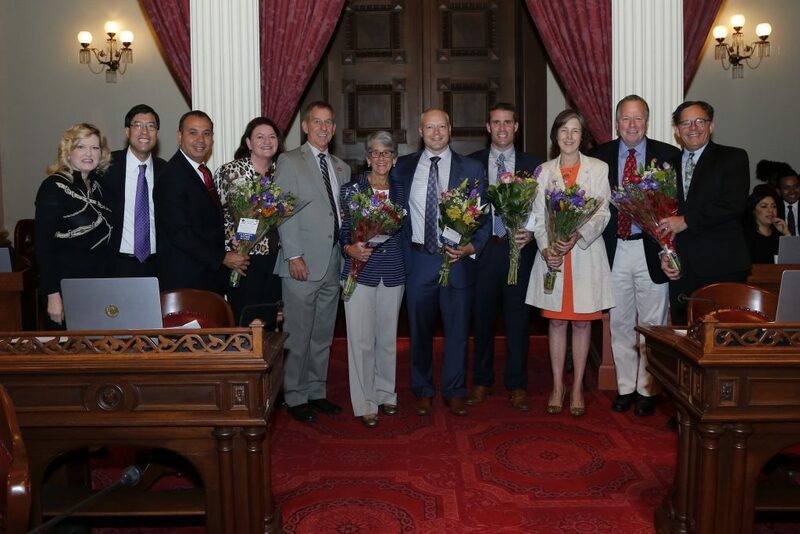 Members of the Assembly and Senate joined Senator Mike McGuire and CCFC CEO Kasey Cronquist for a photo on the Senate floor after Senator McGuire’s remarks urging his colleagues to support Senate Resolution 58 declaring June as California Grown Flowers Month. 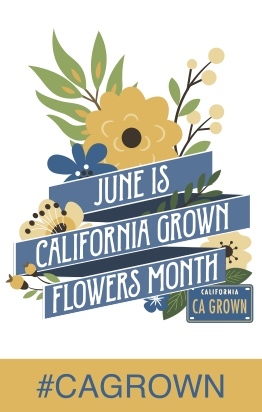 In addition to the resolution, the CCFC is recognizing California Grown Flowers Month with a social media contest on Facebook and Instagram where consumers can enter to win a bouquet of California Grown Flowers each week through the month of June. The CCFC will also feature retailers like Safeway and its “Blue Bucket Campaign” that highlights the company’s support for and commitment to providing customers with California Grown Flowers. 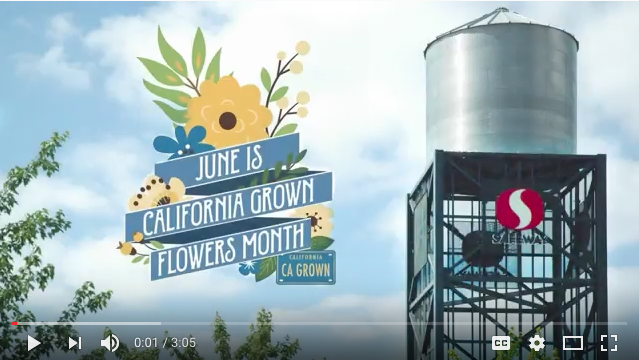 The CCFC recently debuted a video highlighting Safeway’s California Grown Flowers campaign, a promotion that has been wildly successful in spotlighting California Grown Flowers in its stores. Click to watch the video featuring NorCal Safeway’s California Grown Flowers program. The video explains that 74 percent of consumers don’t know where flowers come from, and yet 58 percent would prefer to buy California Grown Flowers. Consumers are in awe of the freshness and variety of California Grown Flowers, explains Crystal Hedgpeth, floral sales manager for Safeway’s NorCal division. In Northern California Safeway stores, Hedgpeth reports that California Grown Flowers are outselling non-California grown flowers. She says Safeway is proud to support California’s flower farmers and hopes the trend of promoting CA Grown Flowers continues to inspire others to feature the beauty and bounty of California. The California Cut Flower Commission (CCFC) unites the state’s approximately 225 flower farmers to advance California’s $320 million flower industry. In addition to providing cooperative marketing opportunities and administering advocacy efforts, the commission has positioned the California Grown brand as a highly recognizable, consumer-facing brand to drive sales of the state’s fresh flowers and foliage. Learn more at ccfc.org.